Get your hands dirty on June 20, 2009 and “learn to plant and tend your own grapevine – a one-day event hosted at the winery designed to help you cultivate your inner farmer.” Heck, just drive down the gorgeous Wine Route to St. Catharines and be sure to bring your John Deere hat and a pair of work gloves. Your “inner farmer” will love you! 3. enables you to learn more about wine making in general and this vintner in particular. One-day sales at Henry of Pelham’s will no doubt spike on June 20th and what LCBO customer who attends this event and leaves with a wine vine to plant at his or her own home wouldn’t choose to buy their wines in the months and years to come?! 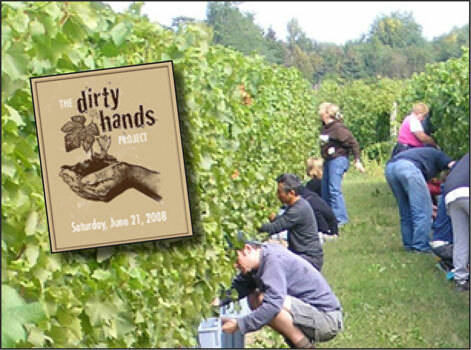 Go to the LCBO or www.thedirtyhandsproject.com for more information.